I have been eating a lot of raw soups for lunch recently because I have wanted to get the maximum amount of nutrition out of what I'm eating. I took inspiration from the classic Spanish chilled soup Gazpacho which I really like. The only thing I dislike about it is the after taste of raw onion and garlic so I decided in future recipes I wouldn't put them in. This personal preference, if you like the flavour and can bear the pungent after taste that will live on with you for the rest of the day then by all means add them. I love the refreshing nature of cucumber, and until recently had never tried cucumber and mint soup before, but really wanted to give it a try and now it is one of my favourite things to have for lunch. I definitely put my own twist on the soup to keep it dairy free as most traditional recipes call for yogurt. My main aim for my raw soups is to make them filling, and pack them with nutrition so I use things like walnuts and flax seed to bulk them out a bit and give them a satisfying consistency. 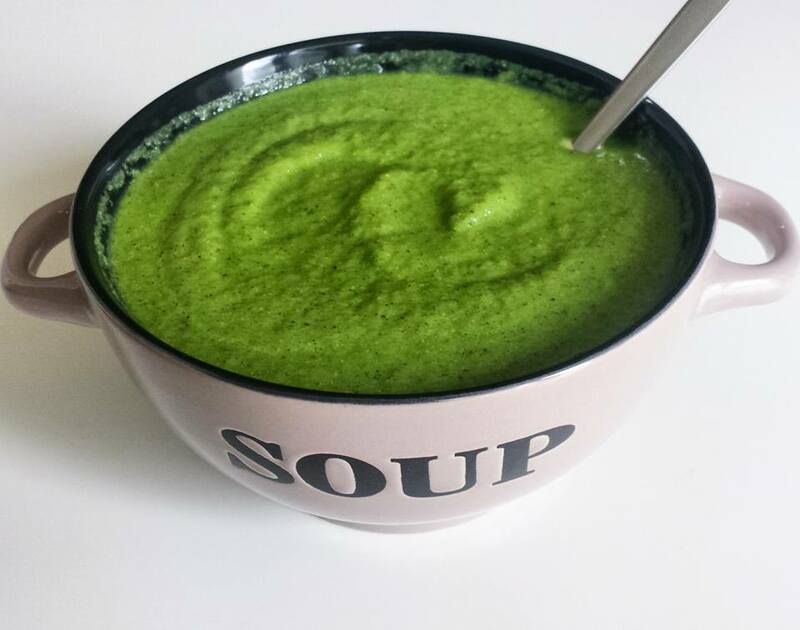 I make my soup in my nutribullet so this recipe is for a one person serving. Roughly chop the cucumber and fennel and pop into a blender with all of the other ingredients and blend for roughly 1 minute until smooth and combined. You'll find the walnuts and flax give the soup a frothy light texture that I really love and make it more filling. If you like vegetables you can't really go wrong with raw soups, the combinations are endless and are such a fantastic way of getting plenty of healthy veg into your diet in one sitting. I have been eating a lot of raw tomato soup, as well as spinach and fennel. Experiment and find what you love best!